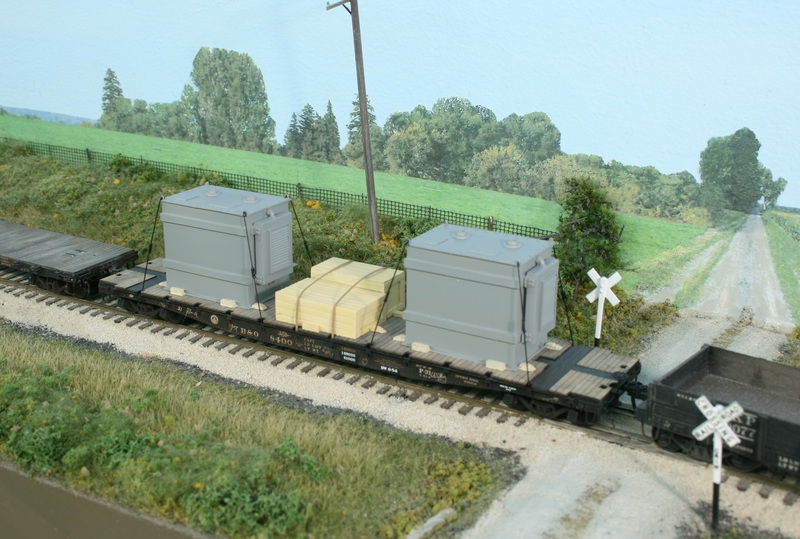 Put a flat car to work with a new Resin Car Works electrical transformer load. The kit is our latest release and an includes two HO scale resin cast transformers with crates for $34, plus postage. The transformers are one piece resin castings and represent oil cooled units that are being returned for, or from, rebuilding. The design is from the Twenties, so they can be built new for that era or used into the 60’s when transformers of this type were replaced. Resin parts are supplied for the blocking. Modelers must supply wire for the tie-down rods. Prototype loading diagrams and ordering details can be found on the Resin Car Works website. Is there a photo available of the prototype transformer? What is the price of the boiler kit??? Are they hollow and what is the combined total wt. ?